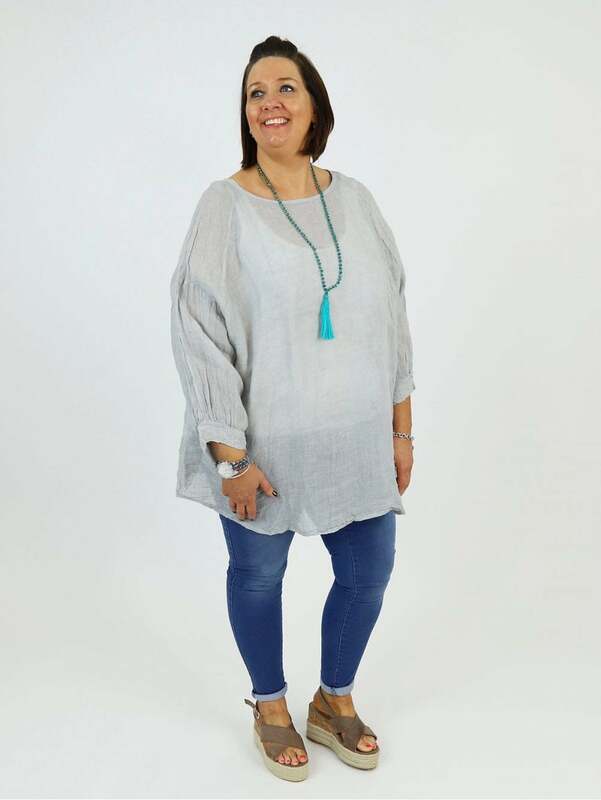 The Made in Italy Alberobello Linen Top is a gorgeous everyday style with subtle puffball sleeves to add that little touch of glamour to your outfit. Made from beautiful lightweight linen this piece layers perfectly over camis and tees. Available is many stunnig shades you will be after this piece in so many colours. I bought this top originally in denim blue - beautiful colour and lovely item. Especially like the puffed sleeves, very girly! Went in to buy lime (not as bright as one might think when you actually see the item) and black (more see through than the other 2 so will need a vest top). Couldn’t be more pleased. Would recommend.